Econo Mix was developed for the pigeon fancier on a budget. Due to high protein and fat content, this food makes a sensible choice as a winter food. 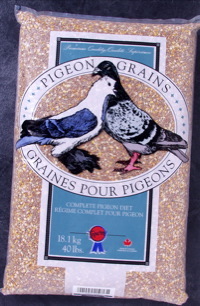 Econo Mix is for the LARGE breed of pigeon such as Homers and Kings. It is not recommended for any small type of pigeon. Econo Mix provides you with a good, all-season food at a very reasonable cost. Wheat (hard western), dent corn, milo-red, white peas (small).